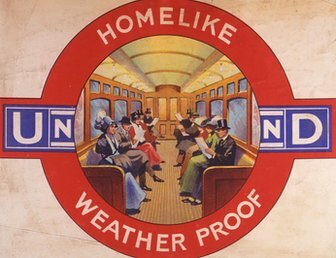 London was the first city in the world to have an underground train system. It was built in 1863 and people called it 'The Tube' because of the way the tunnels were shaped. 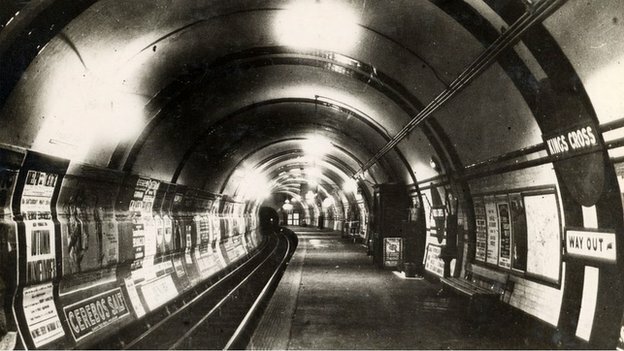 By the time war began in 1914, Glasgow also had an underground system and it was called 'The Subway'. It was a safe way to travel because the tunnels were deep underground, and in London it was also a safe place to shelter during air raids. 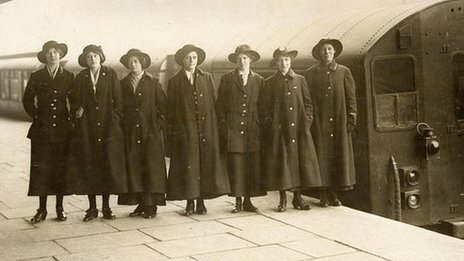 During the war, women trained for new jobs on the London Underground and the Subway. They became ticket collectors, guards, clerks, painters and cleaners. They worked hard to keep the systems running smoothly despite damage and shortages. Although women worked as mechanics and ticket collectors on the London Underground, they weren't allowed to become drivers. The first woman to qualify as a Tube train driver was Hannah Dadds, in 1978. In London women looked smart in their new uniforms. Some wore a dark skirt and jacket with boots and a wide brimmed hat. Their hat had a London Underground badge. 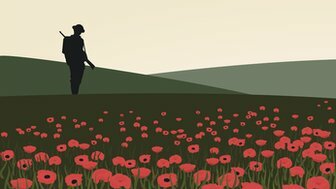 Others wore heavy, dark cotton trousers, dust coats and hats to protect them from paint, oil and dust. The word 'Underground' was stitched around the collar of the jacket. In colder weather, a long, warm overcoat was worn. The Tube was still being extended when the war started. Work didn't stop completely, but it did slow down. Some men stayed to keep the building work going and to repair damage caused by air raids. The newly-opened Bakerloo line extension had a new tube station at Maida Vale. It was very unusual because all the staff were women. Before the war, shops and businesses in London knew many people travelled on the Underground every day. They advertised their goods to encourage people to visit their shops. The government realised this was a useful way to spread information, so lots of posters were stuck on notice boards, walls and buses with slogans about supporting the war.